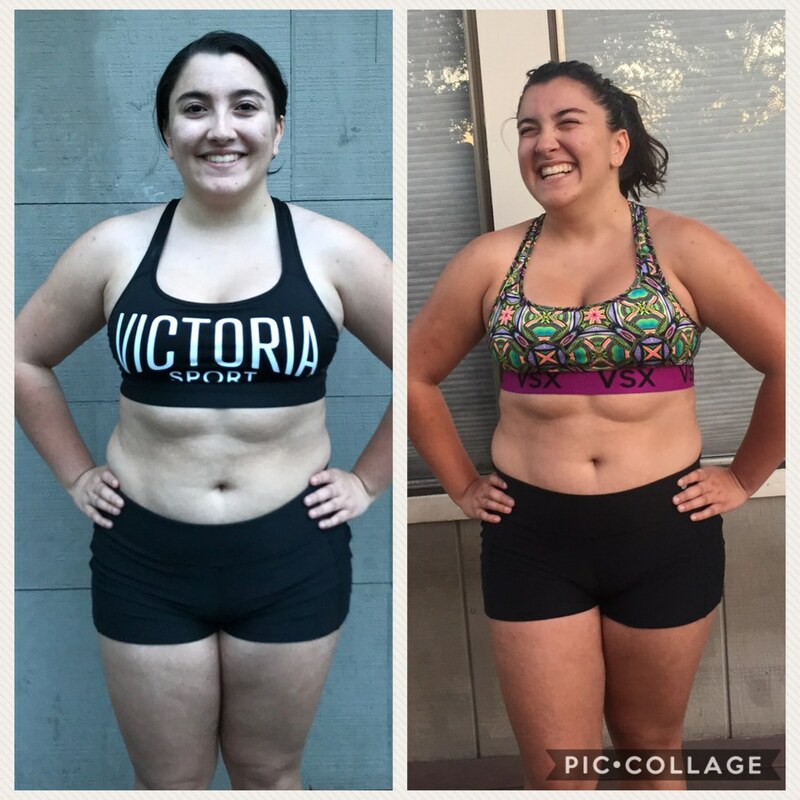 A month ago my mom asked me, “Have you ever heard about PiYo? Because I bought it! Will you do it with me?” Obviously, I agreed while having no clue what I was getting into. Without sounding too much like an infomercial, I will tell you what it is. 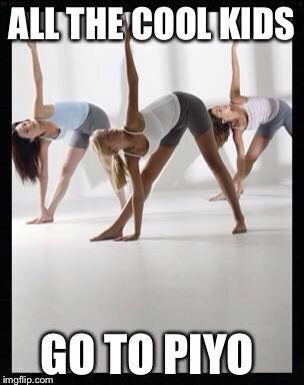 PiYo is a 4-8 week Pilates and Yoga fusion workout program geared to be low-impact while still burning calories. To follow the calendar you workout 6 days a week with a rest day on Fridays. It is designed to increase muscle definition, lengthening, and flexibility. 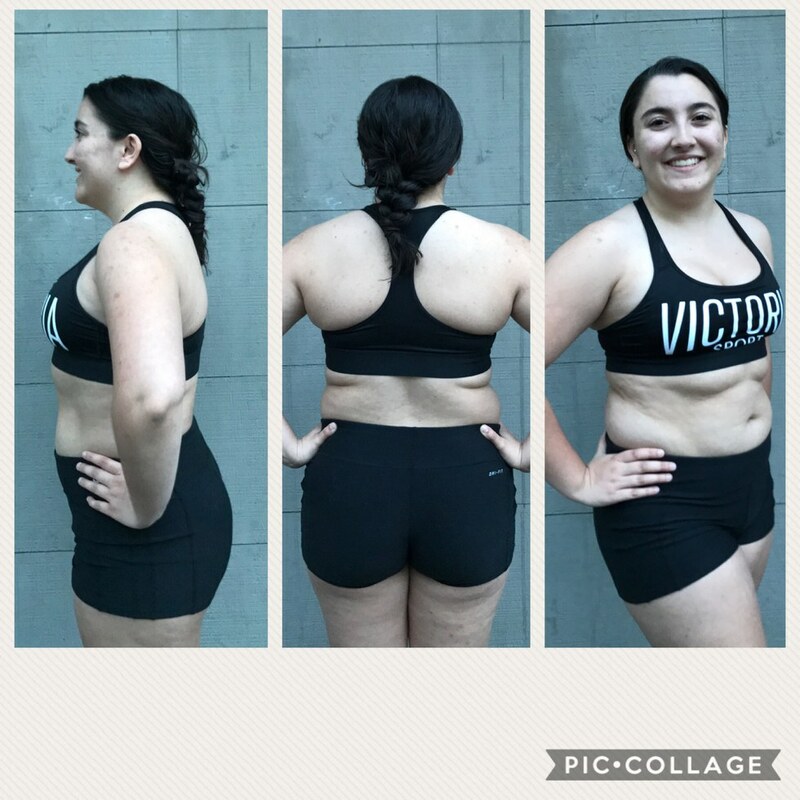 To understand where I started from, this was not my first time following an intensive workout schedule, in fact, about 6 months ago I did Beachbody’s Hip Hop Abs program. Before beginning, you are encouraged to measure yourself and take pictures. This gives you a reference as your body changes throughout the following weeks, much better than just numbers on a scale. It was also helpful with creating this article! PiYo also gives a loose guide of how many calories you should eat a day based on your current weight. Most of the food I already ate was PiYo approved so it was not too difficult to loosely follow. Highs: The moves are not as intimidating as I expected. Lows: My wrists are weak and tight. Highs: I lost a pound! Lows: Not finding enough time to workout with my mom. How I feel overall: Strong. Highs: I am able to do all the push-ups in the Upper-Body workout now! Lows: My right shoulder is becoming fatigued. How I feel overall: In the habit. Highs: I was out of town for a couple days (yay, rest)! Lows: I was out of town for a couple days (puttered out). How I feel overall: Accomplished. Total weight lost: 4 lbs. Would I recommend this? Absolutely. Pros? You will gain flexibility as well as strength. Taking the challenge of working out 6 days a week is difficult both physically and mentally. Cons? This workout was no joke! It is a little pricey, but worth it. What do I think about my results? I expected more difference in inches/pounds, but am proud of my visual results. Can you spot the difference? That’s right, look at that smile! There is something empowering about pushing your physical limits. You learn that you underestimated your own body. 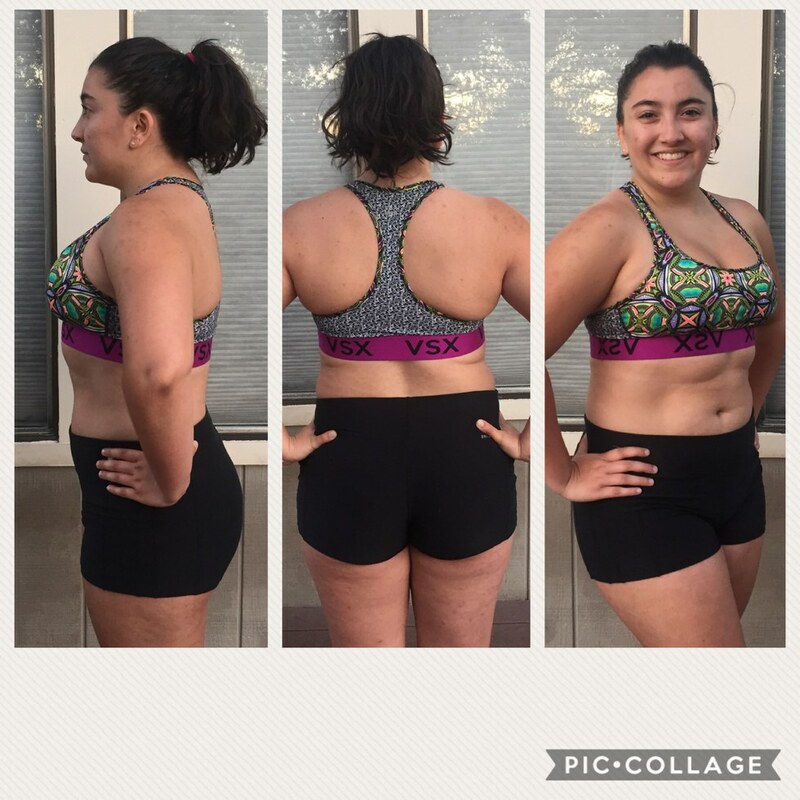 Not only did PiYo make me look stronger, but I feel happier and healthier because of it! College is hard enough without having to endure drama from people you've never met. The first year of college is one of the most trying times for anyone. It's the first time that you're fully independent of your parents, where you have to wake yourself up for your classes because your roommate probably doesn't have your exact schedule, you eat when the spirit moves you, and you prioritize your time in any way you want. College is a time of growth, where you leave behind your 8 a.m. to 3 p.m. high school experience and have to start over. Yet, I've realized that some people can't leave high school behind, and bring with them the petty drama and unnecessary rumors that littered the halls of high school and spread like wildfire. There is a consistent stream of gossip and preconceived notions that ruin a potential future relationship between two people, all because someone decided that a rumor they heard about someone else was worth sharing. I understand why people hold on to the drama that is caused when other people decide to gossip. But, for the people who learn about their reputation from their friends, because someone decided to share it with them and, being a good friend, they told them what someone had said, it's hard. College is the first time where you get to go out on your own and live life as a semi-functioning adult, and no one wants to be dragged back to their high school experience. For the people who bring high school to college with them and the people who believe rumors about someone even if they haven't met that person, you need to get over yourself. It is not fair to the people about whom you're talking. Imagine if it happened to you. College is a challenging time, the coursework is more difficult and there is no one there to tell you what to do with your time. It is hard enough to balance academic coursework with a social life and extracurricular activities, not including being able to maintain strong mental health. Although it can be heartbreaking to hear rumors that have been said, it can show you who your true friends are. There are a lot of people you meet when starting college who seem like they could be your best friends, but as soon as you turn your back, they're whispering about you. There is no doubt in my mind that my close friends would be the first to speak up on my behalf if they heard something negative about me. And that means more to me than a reputation. It's easier said than done not to let rumors and other people's perception affect you. The difference being let it hurt you and accepting that there's nothing you can do are two very separate things. But what other people think of you is something that is entirely outside of your control, and all that you can really do is decide not to let it be known that it bothers you. You have every right to be upset if you hear something negative about yourself, especially if it isn't true or something you did has been blown out of proportion. There is no definitive list of traits that a person can have to be strong, and there is not a list of actions that you can take in order to move on from being hurt by rumors. But the most important thing that you can do for yourself is to move on. To make sure that you are happy and comfortable in your own skin. It may seem like a burden to fully accept yourself and like every single thing about yourself. No one is perfect.